Gusto updated the logotype and colour palette to feel more modern and fresh. Brand guidelines, stationery kit and templates were also developed for reports, minutes and Powerpoint presentations. We also developed a new website. The refreshed brand portrays the Dental Council as a more modern and professional organisation, while still being authoritative and credible. 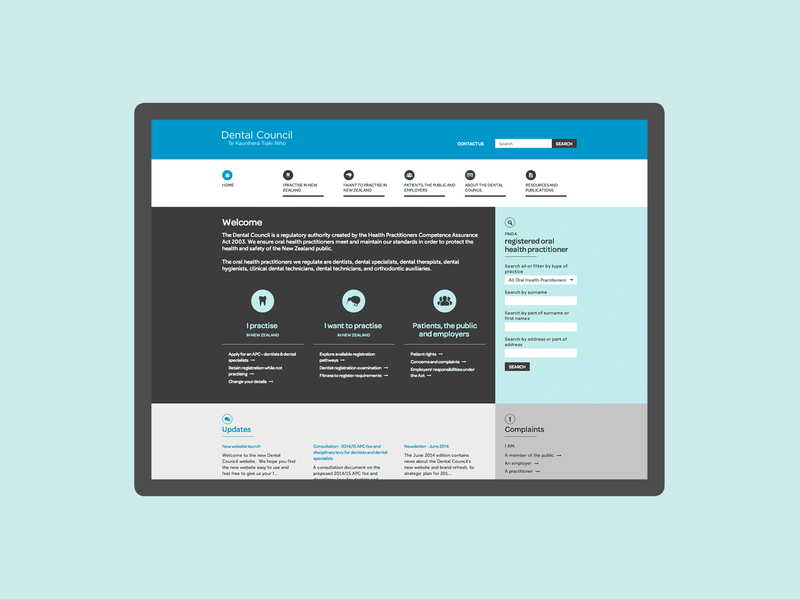 For the website design we used a process of reduction and simplification, creating a more efficient user experience. The structure of the site was transformed so that content was sorted into three distinct pathways based on user type. 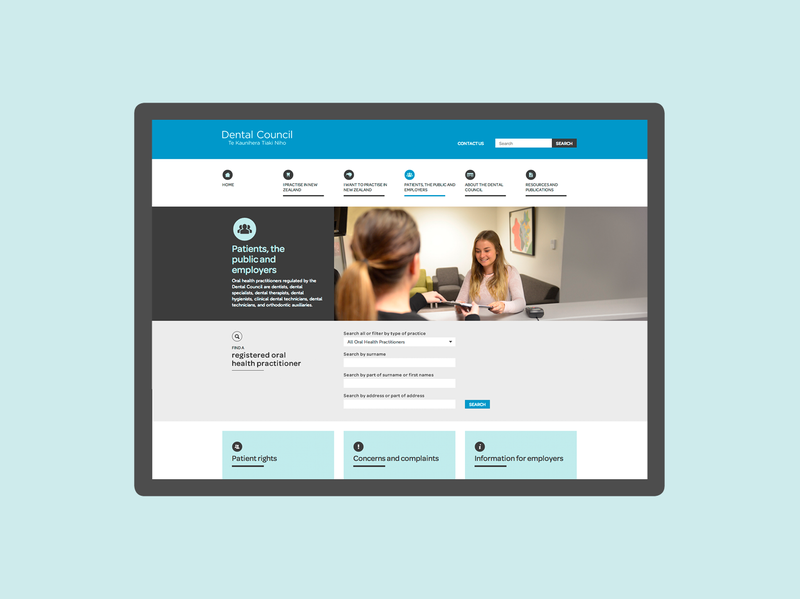 We applied an information design approach to the site’s visual aesthetic, using icons as visual cues to help a user access and navigate the content. 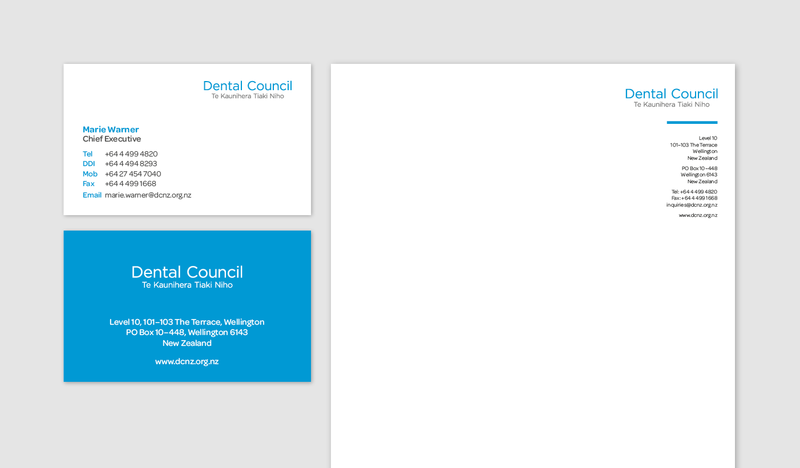 The new design portrays the Dental Council as a more modern and professional organisation, with the informational design aesthetic aligning with their brand. The new design makes it much easier for users to find and interact with the content relevant to them. Interactive tools help users to search for information and perform self-assessment activities online. As part of the brand refresh we created an interactive infographic that illustrates the Council’s Standards Framework. The interactive infographic was posted on the DCNZ website, and engages the viewer to explore and discover the different components of the Framework.